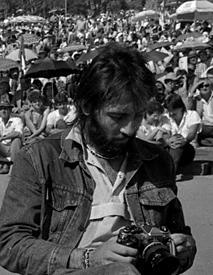 Kevin carter who was a South African photo journalist committed suicide,three months after he won the Pulitzer prize for a photograph of a ”Vulture stalking a starving girl”. 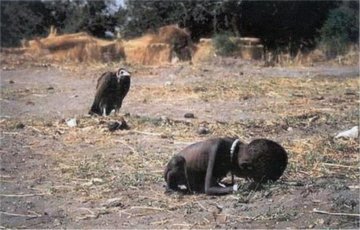 His journey as a successful photographer started on 19th March 1993,while he took a trip to South Sudan where he found little girl who being preyed up on by a vulture and that incident strikes him,he took an iconic photo of it. “The high pitched whimpering sound of a toddler near the Ayod Village attracted me the most”-said by Carter. Actually the baby girl was left there by her parents to pick food from a UN plane near by. Carter waited almost 20 minutes for the vulture to fly away but it didn’t,that made him to snap the haunting photograph and to chase the Vulture. This haunting photograph by Carter was one of the sensational photo on the news at that time.It was first appeared on the Newyork Times paper on March 26,1993. Even though Carter was not able to enjoy as the winner of Pulitzer prize because Many of the people contacted the paper questioning whether the little girl had survived or not and to which the paper responded through an unusual editor’s note saying the girl garnered enough strength to walk away from the vulture but her ultimate fate was not known by any one and it was a rule for the journalists of Sudan not to touch the victims of the famine,mainly to avoid the risk of transmitting diseases. Even though Carter came under a lot of criticism for not assisting the girl and the sound araised as he could have saved her. “I am depressed,,,without phone,,,money for rent,,,money for child support,,,money for debts,,,money!!! … I am haunted by the vivid memories of killings and corpses and anger and pain,,,of starving or wounded children, of trigger-happy madmen, often police, of killer executioners,,,I have gone to join Ken if I am that lucky”.